From an island off the coast of Australia, a diamond tycoon heads a reign of terror, but he has never come up against the fury of a man like Dirk Pitt. A mysterious plague in the Antarctic.A diamond empire run by an evil genius.A devastating new technology that threatens to annihilate millions. Tasman Sea, 1856. A British clipper ship bound for Australia's penal colony is crushed in a raging typhoon. A few pitiful survivors wash up on a deserted island. Among them are Betsy Fletcher and Jess Dorsett, who discover an immense supply of exquisite diamonds... Seymour Island, Antarctica, 2000. 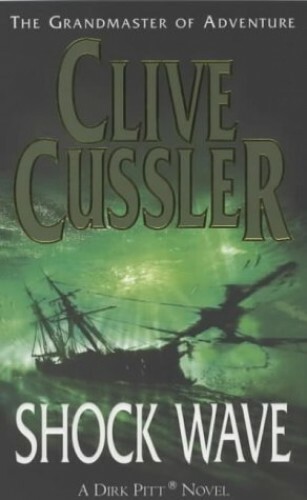 Dirk Pitt rescues Maeve Fletcher, a descendant of Betsy and Jess, after an unknouwn cataclysm kills thousands of marine animals and nearly two hundred people aboard a cruise ship. Pitt traces the carnage to the global diamond operations of Maeve's father, Arthur Dorsett, and her callous sisters. From a chilling escape at a high-security Canadian mine to a tiny boat adrift on lonely, shark-infested seas, the ingenious Pitt is racing to thwart Dorsett's ruthless plans - before an unthinkable disaster claims millions of innocent lives.